Who wouldn't want to enjoy some great kebabs along with beer or wine or even a mocktail? 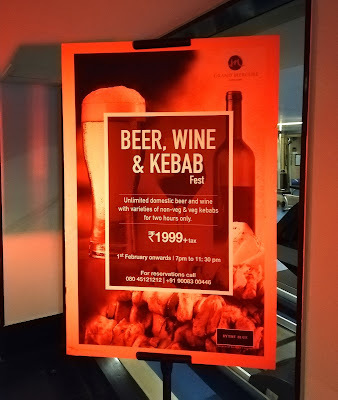 Grand Mercure Bangalore has heard you and has come up with a month long festival serving various veg and non veg kebabs, some beers and also wine. 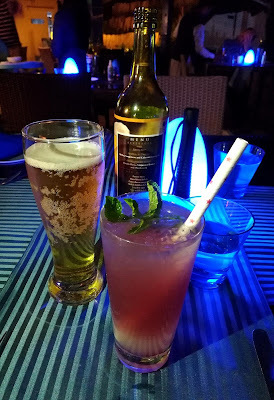 I have been to Grand Mercure Mysuru and loved my stay along with the dinner at the poolside restaurant - By The Blue. 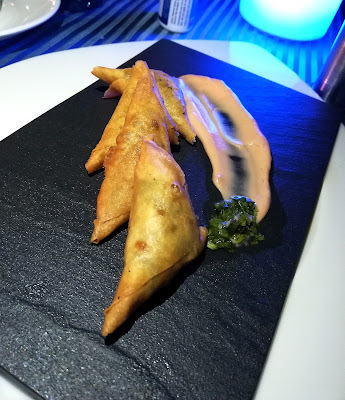 So I have eager to have a similar experience at By The Blue at Grand Mercure Bangalore. Located in Koramangala, Grand Mercure is on 12th main away from the maddening crowd and in a residential area. So you will always have a quiet dinner at their restaurant. By The Blue is their poolside restaurant serving dinner only. They also host special parties and get together at the restaurant too. 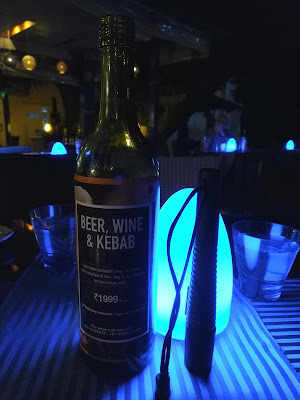 Enjoying dinner with your special people in life with low light, soft music, Bangalore's cool breeze and by the pool, this combination will make you fall in love with the restaurant. 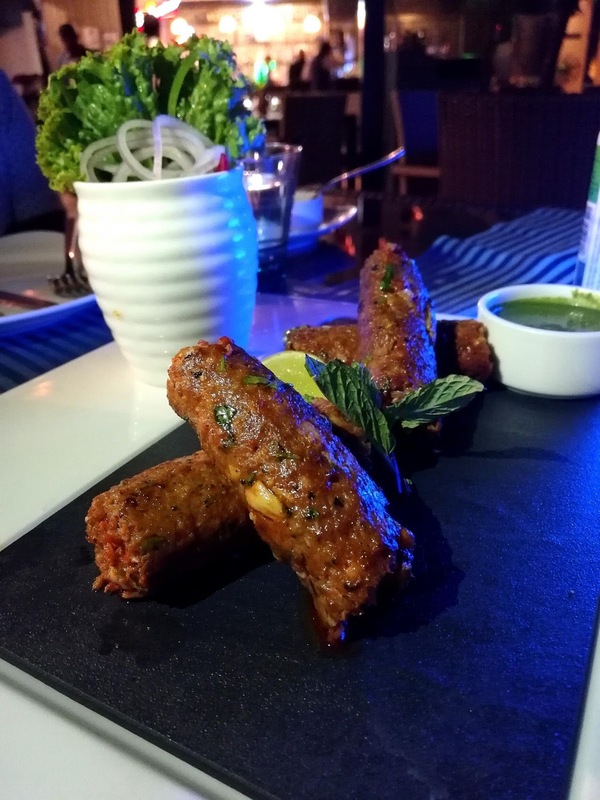 For the month of February, Chef Gopal Jha and his team have curated a menu of various kebabs which can be enjoyed with beer or Fratelli wine. As I do not consume alcohol, I opted for a mocktail while I savored their kebabs. Each kebab is made carefully and with best ingredients and the best meat available. They have 6 veg and 6 non-veg kebabs on their menu and it will be served unlimited for 2 hours for Rs.1999+taxes. In 2 hours, you can get a taste of all the kebabs and it will fill your tummy and you will be satiated too. 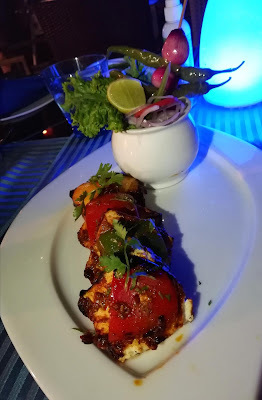 I chose to try a mix of veg and non-veg kebabs, started with Chicken Tikka and Paneer Tikka where the marination was excellent and the chicken and paneer were very soft. 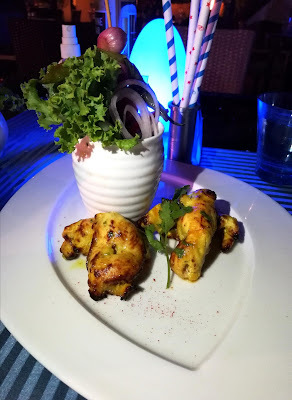 One of the best chicken tikka's I have had. I followed it with Mutton Seekh Kebab which was juicy and soft which are made from bay lamb, it will just melt in your mouth. Grilled prawns were next, jumbo prawns were used for it, grilled and marinated in their spices. 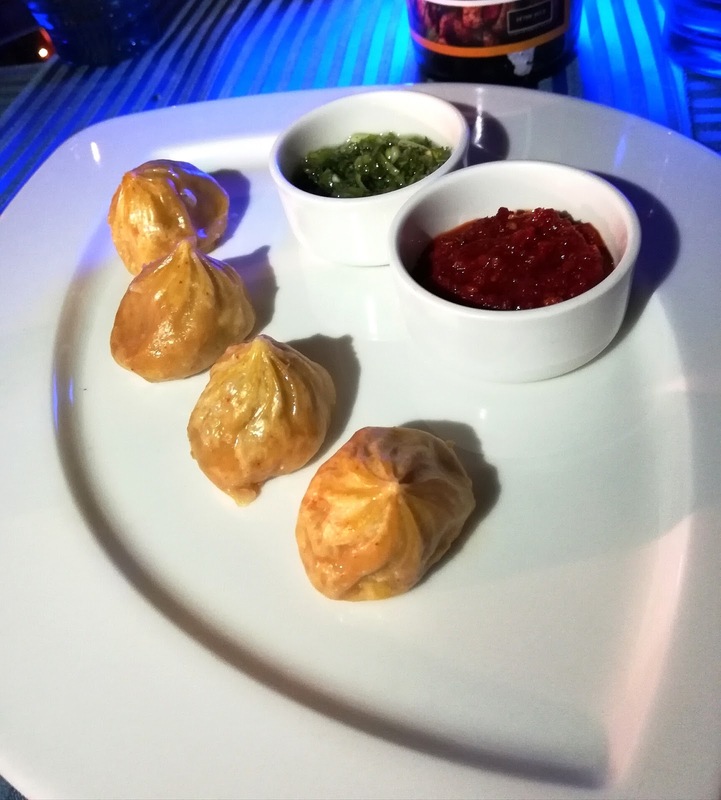 To break the monotony, Chicken Dimsums were served and it tasted best with their fresh coriander and chilli chutney. Their red chutney is spicier. 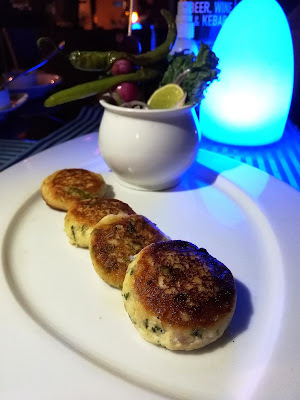 Dahi ke Kebab had to be tasted, these hung curd patties are extremely filling. Another Chicken Starter took my heart. 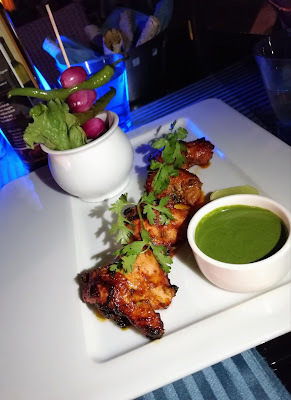 The marination made the tikka delicious and tasted best with mint chutney. 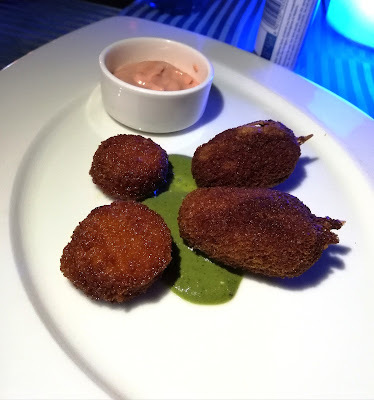 Some kebabs which were fried. Prawn Triangle was a different take to samosa with prawn filling, best tasted with mayo or green chutney. Lobster Bite had small deep fried patty of lobster meat. Crab Claw had deep fried patty of crab meat. They also served Fish Fingers made from Indian salmon which was refreshing from the usual Basa. 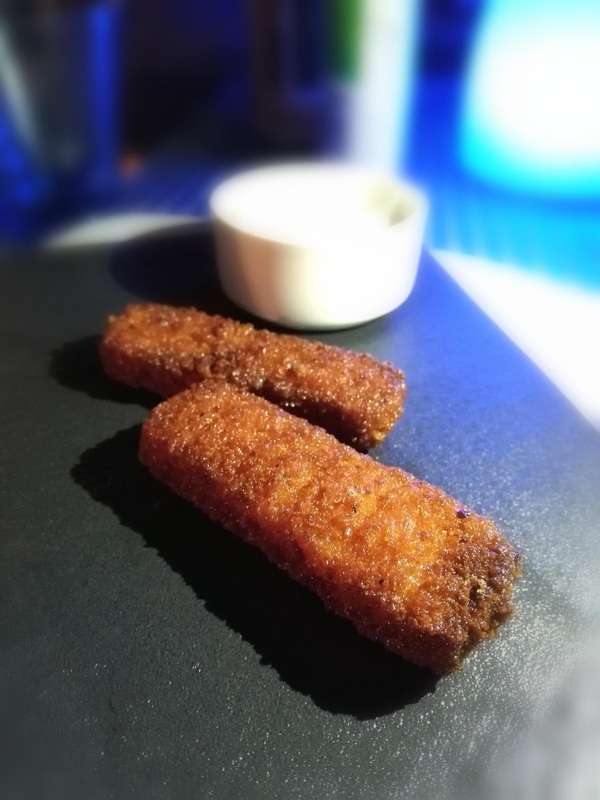 While I love seafood, I do not prefer them deep fried when there is an option for grilled but just one for taste did no harm. If you are looking for a quiet meal with some delicious food served fresh and made with love then the Kebab, wine and beer fest at Grand Mercure Bangalore is a must visit for you. 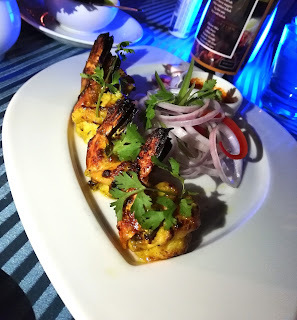 Chef Gopal Jha and team will make sure you will have a meal which will etch in your memory like it did for me.